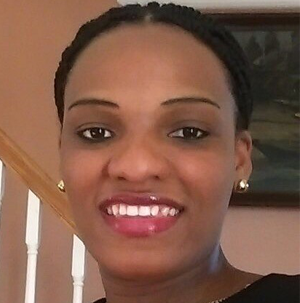 Team — Energy Access Foundation, Inc.
Williana was born in the Puerto Plata area of Dominican Republic and lived in a PV-powered house until she was ten years old, when she emmigrated to the Boston area. Quickly becoming bilingual and bi-cultural, she studied at the University of Massachusetts Amherst and graduated with a degree in political science and a minor in environmental science. Later, Ms. Aquino worked as a home energy advisor, helping homeowners in Massachusetts, many of them immigrants from various countries, to reduce their energy consumption. This background has given her an excellent cross-cultural understanding of the energy-climate nexus and prepared her to manage EAF's international collaborations to advance energy access. Richard is a pioneer in the application of PV technology combined with micro-finance to increase access to electricity in developing countries. Starting in 1984, he led a non-profit program to introduce PV technology with micro-finance in the Dominican Republic. He then replicated this model in Honduras in 1989 under a contract with the U.S. Department of Energy. This work led to significant replication globally. In 1993 Richard founded Soluz Inc., a Massachusetts corporation, whose mission is to assist the global transition to sustainable energy. Soluz, Inc. provides consulting services to advance energy access. In Honduras, Central America, Soluz, Inc. has a subsidiary social enterprise Soluz Honduras, established in 1994 that supplies PV products and related micro-finance products. Through Soluz, Inc. Mr. Hansen has provided advisory services for major institutions including USAID, the World Bank and the Inter-American Development Bank in Bangladesh, Bolivia, Dominican Republic, Ethiopia, Haiti, India, Nepal, Nicaragua, the Philippines, and elsewhere. He holds a bachelor's degree in mechanical engineering from Worcester Polytechnic Institute in Worcester, Massachusetts and a master's degree in business administration from Boston University. Titus is a social entrepreneur whose work has focused on assisting global entrepreneurs to grow sustainable businesses through the development of commercially viable applications. In 2005 he founded Solgenix, LLC, to support solar energy entrepreneurs in emerging and developed markets around the world. Mr. Brenninkmeijer holds a BA from Boston College, and a MBA from the Haas School of Business at UC Berkeley. He serves as board member and advisor to many organizations including Accion International, a leading micro-finance organization and Technoserve, a non-profit which supports agricultural entrepreneurs in the developing world. Harish is the CEO of the SELCO Foundation which was established in India in 2010. The SELCO Foundation uses soft funding and flexible capital to develop robust and field-proven technological and financial models in the field of energy and sustainability. He is the Chairman of SELCO Solar Pvt. Ltd, a company he co-founded in 1995. SELCO Solar is a social enterprise that provides sustainable energy solutions and services to under-served households and businesses. SELCO has provided solar PV for over 400,000 households. Dr. Hande earned his Doctorate in energy engineering (solar specialty) at the University of Massachusetts (Lowell). He has an undergraduate degree in Energy Engineering from the Indian Institute of Technology (IIT), Kharagpur. Dr. Hande serves on the boards of many international organizations. Luis is an engineer and a renewable energy advocate with almost 20 years of experience in the PV solar industry. He was born in Boston, MA to Colombian parents while his father studied at Harvard. He was raised in Colombia where he lived until 1998, when he returned to the USA with his electrical engineering degree to pursue graduate university studies in solar energy engineering. He is currently the Director of Solar PV Development Engineering at Ameresco, Inc., a developer of energy efficiency and solar energy projects. He has managed the design and development of many commercial PV projects that have included PV systems designed for roof tops, carports, parking garages, and landfills, as well as large multi-megawatt ground mounted PV projects. Prior to joining Ameresco, Luis worked as Applications and Field Support Engineer, and as Product Development Engineer at Evergreen Solar, Inc., a solar photovoltaic cell and module manufacturer. Earlier in his career, Luis lead the design and installation of rural PV projects in developing countries including Dominican Republic, Honduras, Mexico, and the Philippines while working as Solar Engineer for Soluz, Inc., a PV system integrator and consulting firm specializing in advancing access to electricity. Luis holds a B.S. in Electrical Engineering from Universidad del Valle in Colombia and a M.S. in Solar Energy Engineering from the University of Massachusetts. Paul is founder and president of Zapotec Energy, an company specializing in PV system engineering and construction. He has been active in the solar energy industry in New England for 20 years and has developed extensive experience on all levels of solar design and development including installation, consultation, site assessments and construction supervision. Paul is well connected in the solar professional network as an active member in the Solar Energy Business Association of New England (SEBANE), the American Solar Energy Society (ASES), the Solar Electric Power Association (SEPA), and IEEE. Paul is a Registered Professional Mechanical Engineer and Construction Supervisor in Massachusetts, and a certified PV installer from the North American Board of Certified Energy Practitioners (NABCEP). Earlier in his career, Paul worked as a volunteer in Haiti for three years, and in Oaxaca, Mexico for three years. He continues his commitment to developing countries as a volunteer advisor to EAF. Paul holds a B.S. in engineering from Cornell University, an M.B.A. from the University of New Haven, and an M.A. in Geography from Boston University. Windy was born in Haiti and moved to the greater Boston area shortly after the earthquake that ravaged Haiti on January 12, 2010. She quickly learned the English language and obtained a Certified Nursing Assistant (CNA) license from the Commonwealth of Massachusetts. She has several years of experience caring for the elderly and is currently studying toward a degree in biotechnology at Middlesex Community College. Windy provides sound guidance to EAF from her perspective as a recent successful woman immigrant from Haiti with linkages back to her homeland. 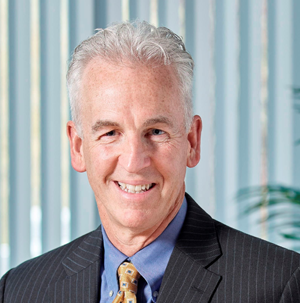 Rob has been a national and international leader in clean energy for more than 40 years, as a for-profit and non-profit entrepreneur, a clean energy funder, and a governmental leader. He is the founder and Chairman, and until recently the CEO, of GreenerU, a company dedicated to helping colleges and universities become climate leaders while reducing energy, water and infrastructure costs. He was the founder, Chairman and CEO of Energia Global International (EGI, now Enel Latin America), a company that became one of the leading renewable energy companies in Central America. Prior to GreenerU, Rob was the Senior Vice President of the Henry P. Kendall Foundation, where he led foundation initiatives focused on energy efficiency policy and financing innovations. He also served as Director of the Massachusetts Renewable Energy Trust, a major fund promoting the development of renewable energy projects as well as clean energy economic development in MA. 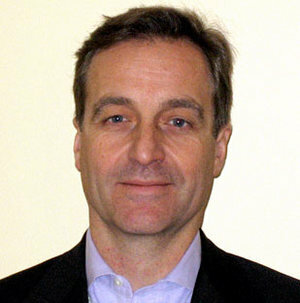 Rob currently serves as the Chairman, founder (1984) and board member of the International Institute for Energy Conservation; Chairman Emeritus and Advisory Board member of the American Council on Renewable Energy; Executive Committee and board member of the Alliance to Save Energy; and Executive Committee and board member of the New England Clean Energy Council. He received an M.P.A. degree from the John F. Kennedy School of Government at Harvard University, a J.D. degree from Georgetown University Law Center, and a B.A. degree from Wesleyan University. Leo is a business development professional and community leader working to promote the efficient use of energy, the advancement of renewable energy and protection of workers and the environment. Currently, Leo is a Market Executive at EH&E, a nationally recognized consulting firm headquartered in metro-Boston that partners with institutional clients (hospitals, universities and multi-site commercial) to solve complex environmental, health, safety and energy challenges. Prior to joining EH&E Leo was with OutSmart Power Systems, a state of the art metering technology, where he led market launch and investment financing efforts. Leo also worked with EnerNOC, where he built relationships that allowed for the expansion of EnerNOC's energy demand management services across North America. Earlier in his career, as a Senior Consultant with Arthur D Little, an internationally renowned consulting firm based in Cambridge, MA, Leo was responsible for delivering health and safety audit, inspection and training services to multi-national corporations. Leo’s volunteer efforts include his current role as the Chairman of the Town of Natick's Sustainability Committee and the Co-Chair of the Episcopal Diocese of Massachusetts' Haiti Network. Leo also served as a Solar Coach for the MassCEC Solarize Mass Natick program. Proficient in French and Spanish Leo has completed consulting assignments in more than 20 countries including, Belgium, France, Spain, Italy, Mexico, Canada, Venezuela, Zimbabwe, China, Haiti, and the Dominican Republic. Leo has an M.S. from University of Massachusetts Lowell and a B.A. in Economics from Fairfield University. Julie has over 20 years of experience building solid relationships and reputations for some of the most successful and innovative renewable energy companies in the world. As Vice President, Corporate Communications and Investor Relations for Brookfield Renewable Energy Partners, Julie was a member of the executive team overseeing renewable project development, acquisitions and operations in North America, Latin America and Europe. Prior to joining Brookfield, Julie managed Corporate Affairs for Enel Green Power’s North American subsidiary, leading government affairs, media relations and the marketing of renewable energy certificates and attributes. She spent years working at the grassroots, community level throughout Latin America, first as a Peace Corps volunteer and later with Enersol, a respected nonprofit solar organization. Julie has been a member of the national Board of Directors for the Business Council for Sustainable Energy (BCSE) and the National Hydropower Association (NHA). She holds an M.B.A. from Boston University and a B.A. in International Studies and Public Communications from American University. 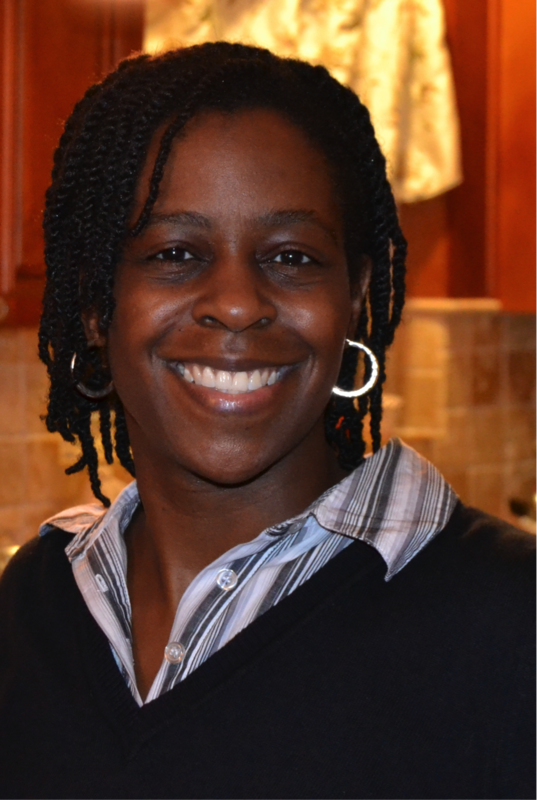 Candace is an electrical engineer and proponent of solar energy with over 10 years of experience. While she grew up in Atlanta, GA, her family is from Guyana, South America. With this background and extensive international travel and ties, Candace developed a passion for supporting increased access to electricity in Latin America and the Caribbean and was drawn to the field of electrical engineering. Candace studied at Massachusetts Institute of Technology where she earned dual Bachelor's degrees in Electrical Engineering and Mathematics and a Master's in Electrical Engineering with a focus on Power Electronics. In 2011, Candace received a Fulbright Grant from the U.S. Department of State to spend a year in the Dominican Republic researching renewable energy. During this time Candace studied alongside renewable energy Master's students at Instituto Technológico de Santo Domingo and collaborated with Soluz, Inc. on solar inverter research. After returning from the Dominican Republic, Candace worked on power electronics for solar PV inverters and designed electronics solutions for energy efficient LED lighting applications. Candace is currently leading electronics innovation at The Coca-Cola Company's Technical Innovation Center. She has been involved with the Georgia Solar Energy Association and IEEE. © 2017 Energy Access Foundation, Inc.